Brief Description: Very common broadleaf weed with traditionally white or purple flowers. Distinguishable by its three leaf pattern. Clover is not a specific type of broadleaf weed. Rather, it is a genus of plants that are related to the pea plant. The two most common types of clover are white clover and red clover, which refers to the color of their flower. They are nearly identical to the naked eye in every other way. Both are well known by their three small, roundish leaf pattern (rarely four leaf, which is why four leaf clovers are believed to represent “good luck”), but white clovers have white flowers that grow in the middle and red clovers have a slightly purplish flower. Clovers can spread quickly throughout a lawn and because of their small size and green appearance they are often ignored. 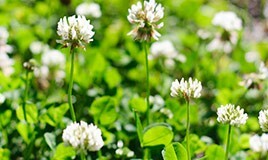 Clovers are resilient, and since clover flowers tend to take over a green lawn, it’s important to prevent clover and treat it quickly when you see it invading your lawn. Unlike some other broadleaf weeds, clover is quite resilient. 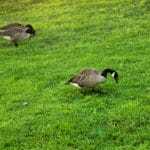 It can invade even the strongest of lawns when left untreated. But as with most of these types of plants, the stronger the lawn the more clover struggles to take root. Over-seeding and aeration, combined with healthy lawn care will choke out clover and prevent it from taking root. Keep in mind that a little bit of clover is not uncommon even in healthy lawns. 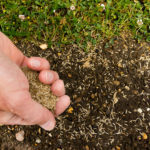 Clover adds nitrogen to the soil, and some lawn care companies actually add small amounts of clover on purpose in order to improve lawn health. Still, there is no denying that large amounts of clover can be unattractive and take away from your green lawn. 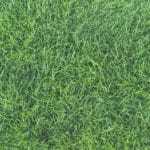 If you have clover on your lawn and you’re looking for clover control, contact Green Lawn today. 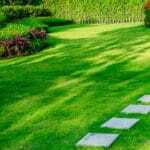 Our experts are trained to provide thorough broadleaf weed control and help your lawn look and feel its best.